Bernard Cheong Doctor Watches Life: What price is anyone's house, car, watch, whatever? Spending or building or giving. What price is anyone's house, car, watch, whatever? Spending or building or giving. Ahh..my good old SEIKO chronograph lives on to see me thru the army. I can still recall how firing this recoiless 84 Carl Gustav will cause all the sand to rush up around me and get into my teeth and all! One thing about choosing a wristwatch is never/rarely told to a consumer. These "heavy weight" fighters will live on into the year 2020 and battle for the $300,000 reserves...painful. Rare enough, they may fight it out into the $350,000 arena. Who knows. 20th and early 21st century pieces which will compete seriously with art and furniture because of space constraints. With wine and art because of maintenance difficulties and lifestyle changes waiting to happen after 2020. Some things that are resistant to humidity, small enough to collect by the tens or hundreds, yet portable enough to keep safely in a city condominium. These will be inevitably collectable. Old patina, early to mid 20th century strong men brands may remain, but I feel that enough is enough. The new age collectors are savvy enough to create and build their own valuable markets, and it is high into contemporary avant-garde design. Revolutionary in their age. Representative of their time. As we saw the slow passing of the clocks and pocket watch niche, we have to realize that to buy low and sell high, obviously one has to buy the unloved for NOW, and beloved for the future. These fellows may have aged well, and born in 2011, they may live well into 2020 to battle it out at $150,000. But not before sinking into the $100,000 area for a few years. I personally souce out early and certain contemporary work from MB&F, Richard Mille, Vianney Halter, Rolex, Seiko, Omega and Vianney Halter. Yes..Japan is IN. This is not a complete list. The USA has not yet fully come in.. I have collected focused parts of rare single print comic book works from the 70s, steel and leather furniture from the 60s to the 80s, cameras from the 60s, and smaller steel sculptures from specific times. I have a peculiar fondness for industrial work and art derived from it. In the early 70s, 80s, 90s..I would spend entire days at flea markets and antiquity fairs all over the western world. I like work that have powerful signature approaches. These guys are the "Holy Grail" pieces for collectors, already doing $250,000 today, born between 1997 to 2006..they may well live to see unimaginable numbers! But I never buy to invest. Maybe that's the secret, I bought out of the love for their design, with no care for loss or earnings. I would use the comparison of choosing a lens for a camera as the best possible perspective. (1) The lens and the wristwatch both project different images of the same event, very drastically. (2) They both have technical flaws which have to be understood to choose wisely. (3) They were both primarily male dominated items, and as such, they work within the confies of a certain set of thinking processes. (4) Once used, at any event, the image that is captured or projected, is almost permanent. (5) Watches have the same functions, such as bandwidth of impressions, focus, bokeh, target subject, ego value, resale value, longevity, compatibility issues with subject or owner's persona at the time of usage, Just like the way a lens will affect what film,sensor size, camera, format, light, and so on. These are now low...at between $25,000 to $27,000 and born some in 1998 and all the way to 2007. Seiko? Yes...thinking of Pilot and Namiki? Yes. Japanese attention to detail. These 2 watches are almost of equal rarity, at below 100 made or so. You wish to look at the watch from a first timer's GOOD purchase. Like a lens, you will look for something that could be tried out, gets you to know the camera, and if possible..a keeper. The wristwatch you buy for the first time lets you learn about how you live. It is an eye opener. It will let you know things about yourself if you really think about it. More than that, it will be left behind for your kids to intepret the kind of man you were. That's something you don't wish to mess around with. A Rolex sportswatch (submariner/explorer) or a Patek three handed watch is just like a VERY good point and shoot digital camera with a zoom lens. It will handle about any situation from dinner parties to swimming. It will not feel or look like a good 20mm large aperture Leica lens with good glass or a large sensor Hasselblad digital camera with a good prime lens. It will not teach you anything much about your own persona. The good prime lenses, coupled with the right camera, at the right place...can do wonders for your own mind as well as share an experience with others..an experience of perspective. Ahh..affordable territory. Usually means mass produced. But not for these..well the SEIKO here is made 52 pieces only, and totally hand assembled. The Omega? It won't be a common sight. Both priced the same? Yes..at $10,000 to $12,000 each. If you can get one. Why do I seem to not favor Rolex and Pateks in many of my writtings? It is not true, it is only a perspective. These 2 brands are excellent, so good that they are almost like superb glass zoom lenses with big apertures. But once you get this, you sort of miss out learning about how much difference in bokeh, depth of field, and trouble with standing, lying down, walking back and forth...all the things that make photography an exercise in thinking. Rolex and Pateks, and a few others, can get you lazy and mess you up, because they are GOOD. And versatile. resales are solid. In fact, even that is a topic that can be explored...values and resales. If you are curious, inquisitive, and very keen on exploring frontiers...I would say to hunt for a GOOD used watch, with evidence that it has been well looked after, or that it can be restored to glory at a fraction of the price of a new one. If you lack the time for hunting down used, then buy new..and discounts alone is a big topic. I will leave that for the time being. Buying a smaller factory brand, or an independent watchmaker's brand is one way to get to know watch collecting's most valuable asset...philosophy. If you have read this far, and noticed that I have not recomended a brand at all is because there is NO BEST brand or best watch, for the same reasons why there are no best lenses. There are the right ones, best for certain purposes. Tourbillons and other expensive complicated watches are prized for their value in society, and position of one's place in the ladder up. I don't wish to "bluff" my way to telling you that they are "better" in telling time. They did tell time better years ago. A VERY long time ago. Today, the most important function they serve is to tell sales staff or a club waiter to allocate attention to YOU. Or to get THE hard cover brochure from the exotic car dealer, instead of the one piece A4 version! 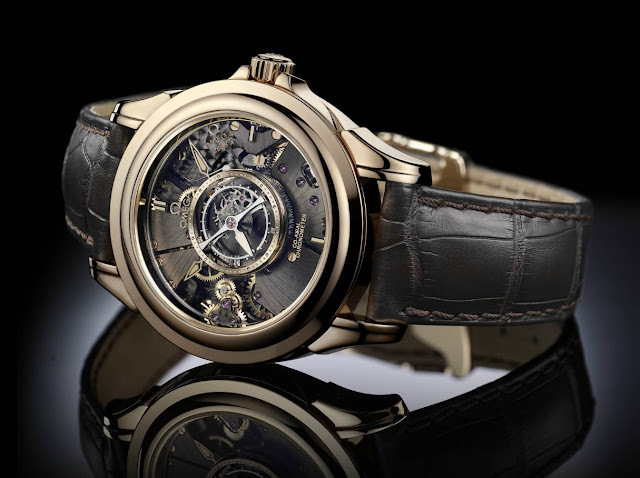 Even so, there are different classes of tourbillons, and different social circles in which they will hold different places up/down the ladder. This is why I love watching people ...pun intended. All brands, complications and limited editions have this effect. Then there are the UBER wealthy. Many of which I was very fortunate to have known, because I was in the "right" school in Singapore. ACS Barker Road from 60s to the last day of its last Pre University class. 12 years. These chaps own old gold and steel Rolex watches from way back into 1967 and older..these watches I have seen on their wrists since school! Maybe it is how wary we are and why we buy or do certain things. Or not. But there is an innocence as in ALL things. This is often the desire to learn, or to see from someone else's perspective. As a collector myself with weakness and mistakes, to a person about to spend a sum of money that can purchase many alternatives...this innocence is the most precious. "Who do you want to be today?" or "for the next few months when you wear that watch". These 2 questions cannot be easily separated. And you will really love to learn about wristwatches and what they do. And all the things they can do. Besides telling time. People are realising that watches can have real value. Like the difference between art and posters. Between 1990 to 2008, there are some great pieces, many in fact, that have much headroom for values to rise. After 2009, then only a few brands and a few makers are having high potential, prices are at high levels, and set to rise by another 50% over 2020. 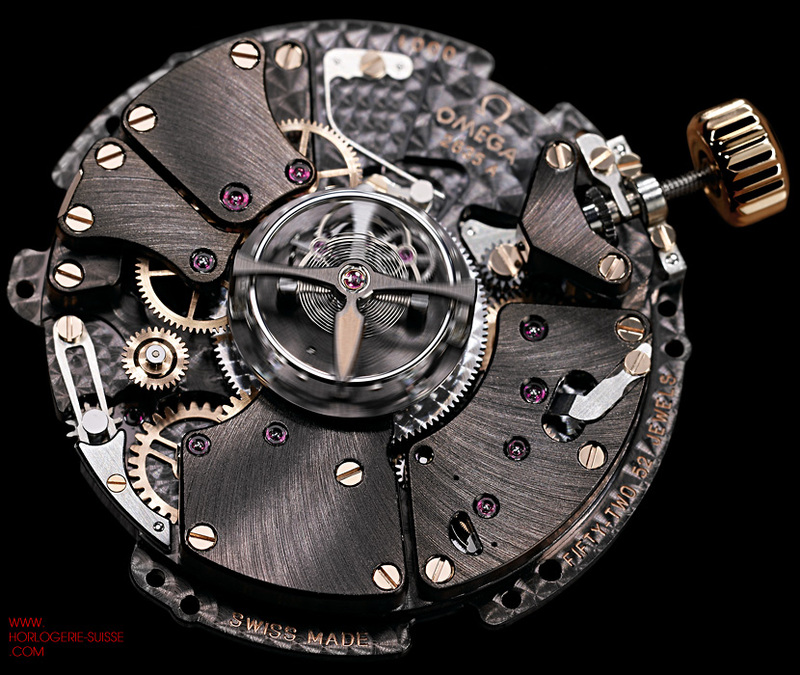 Just LOOK at this Omega's tourbillon!